An introduction to the writing of haiku by Jim Kacian, one of the premier practitioners of the art writing in English today. 188 pages, with an introduction by the author and a glossary of important terms. 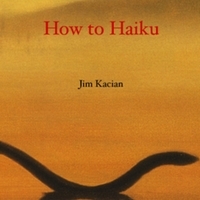 Kacian, Jim, “How to Haiku,” The Haiku Foundation Digital Library, accessed April 22, 2019, http://www.thehaikufoundation.org/omeka/items/show/164.